This was so easy to make and again, easy to adapt as a gluten free recipe by using a gluten free flour blend and gluten free pasta. Everything comes together pretty quickly so it's great for a weeknight meal, if not good enough for company too. To prep for a make ahead meal, you can make the recipe in advance and warm up while you cook the pasta. This makes it easy to have dinner on the table without much effort! In a large skillet over medium low heat, melt butter and add mushrooms. Saute mushrooms until tender. Stir in flour until smooth. Slowly whisk in chicken broth, and cook until slightly thickened. 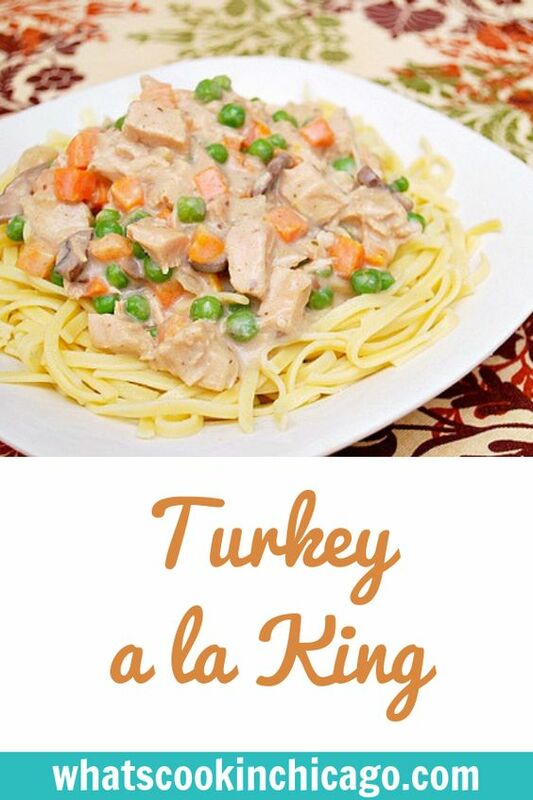 Stir in cream and turkey. Reduce heat to low, and cook until thickened. 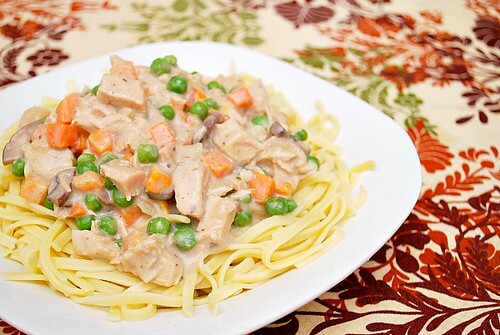 Stir in frozen peas and carrots; continue to cook until warmed through.